Innovation, design and elegance are the features of this new place, which keeps all that are the key features of a successful structure, such as the position in the center of Palermo, cost, comfort and impeccable service which together with the elegance and modernity of our B & B make it valid competitor to all the most famous hotels in the city of Palermo. 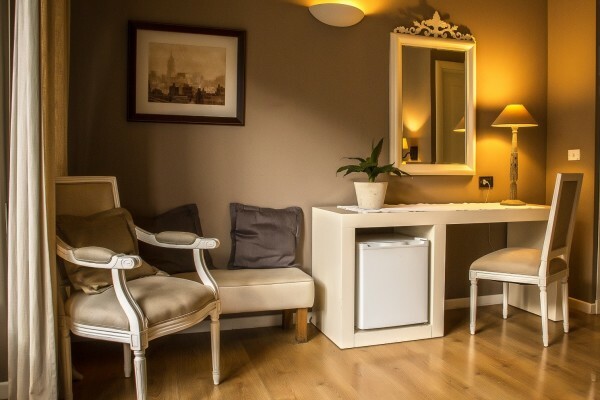 All rooms are equipped with double bed, free WI-FI, cable radio, private bathroom, air conditioning and heating, bathroom, shower with mosaic and audio chromotherapy. The design meticulously cared for by the architects of Excelsior Palermo, one of the first showrooms of the famous Italian design house Flamant, makes your stay truly unique. The scenery of Provence with their soothing colors and their natural materials, elegantly complements flanked by minimal design and technological marvels (such as LCD panels 32 “wall of which all the rooms are equipped) create a balance between classic and modern, nature and technology, with really amazing effects.